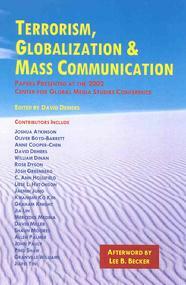 On July 12-13, 2002, the Center for Global Media Studies sponsored its first conference in Spokane, Washington, titled "The Future and Implications of Global Mass Media." About 60 scholars from 10 countries attended and presented nearly two dozen papers and participated on five panels. This book contains 19 of those papers, which examine a wide range of topics organized into eight topical areas. A portion of the proceeds goes to support the nonprofit CGMS.